As we all know, Bollywood actress Kangana Ranaut took a lot of fire when rumors of link up with Hrithik Roshan ablazed. But she knows how to shut up people. But, no sooner Manikarnika's trailer was launched, Kangana was being constantly compared with respect to dialogues to Hrithik's 'Mohenjo Daro'. The dialogue towards the end of the trailer goes by, "Jhansi aap bhi chahte hai aur mein bhi, fark sirf itna hai, aapko raj karna hai, aur mujhe apno ki seva" was compared to be similar to what Hrithik said in Mohenjo Daro, "Antar hai maham. Tujhe Mohenjo Daro pe raj karna hai, aur mujhe seva." 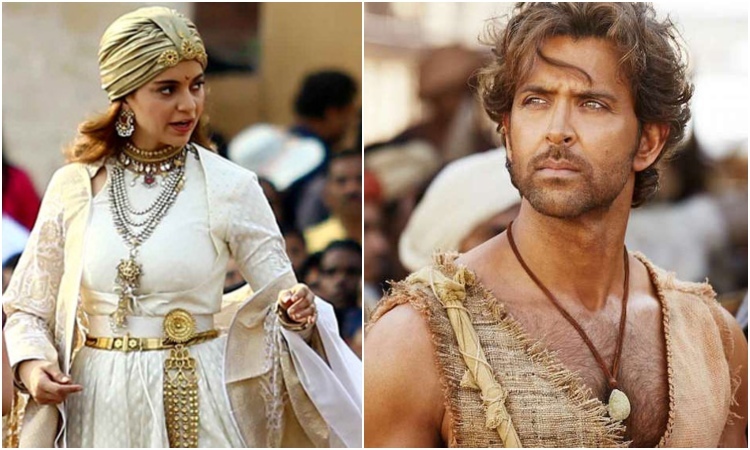 However, when Kangana was quizzed about this comparison of Manikarnika to Hrithik's film and she gave a rather blunt reply as she said, "Who has seen that film? Let's not even get there." Well, that was savage! We wonder how will Hrithik or his army of fans react to this statement. Karan Johar Approached by THIS Actor to be his Gay Partner in a Film Anand Ahuja REVEALS Sonam Kapoor Finds THIS Place the Most ROMANTIC!